Every time, I dine at a Mexican restaurant I will be tempted to order chimichangas as it’s one of my favorite Mexican dishes. 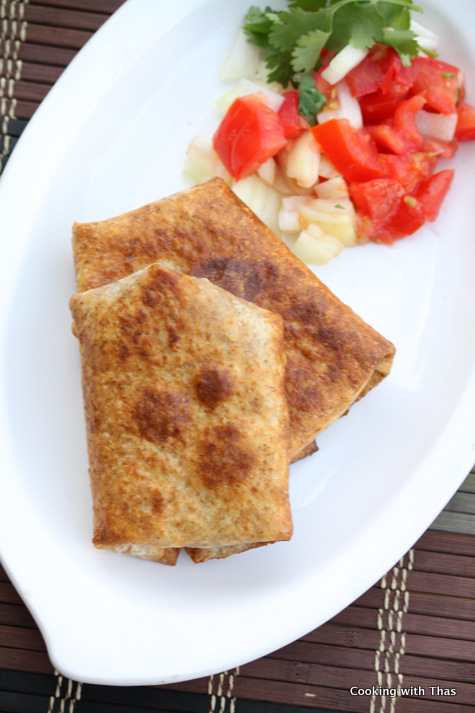 The crispy, cheesy and fried chimichangas taste delicious along with chicken/rice/bean and cheese filling in it. Most of the Mexican restaurants, serve this dish both as an appetizer and as a main entree. Of course, as the main entree it will be huge and will have more filling. I love the name chimichanga, doesn’t it sound cute? When I first heard about this dish, I thought it’s a complicated dish to make. 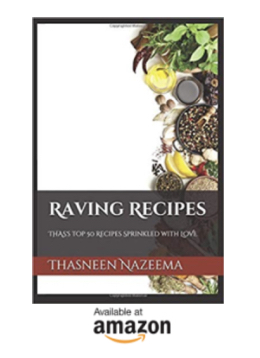 After tasting and knowing about the ingredients used to make it, I found this to be a very versatile and easy dish to make. You could make the filling according to your preference, you could add chicken, beef or even shrimp. Other toppings you can add are rice, beans-whole or refried, salsa, and yes you need to add cheese as well. Basically, the fillings are wrapped in a tortilla (mostly wheat based tortillas), folded into rectangle shape and deep fried in the oil. I had a packet of tortilla in my refrigerator and I wanted to use them before it got spoiled. My heart said chimichanga and I said Yes, it gotta be chimichangas this time. 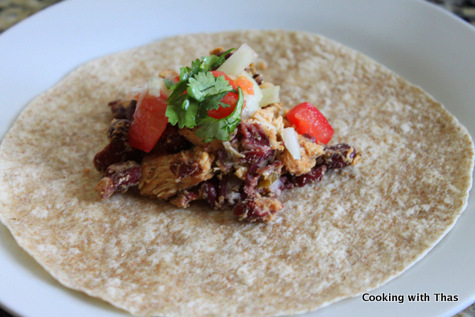 I made an easy chicken filling and combined with beans, you could definitely use slow cooked beef and add other ingredients to it. Chimichangas came out crispy and tasted delicious. This can be served with salsa, guacamole, sour cream and if needed sprinkle more cheese over it. Today, one of my favorite Malabar snack was featured on an event hosted by my dear blogger friend Lubna Karim who is the author of Yummy food. Every Ramadan, Lubna hosts the event: Joy from fasting to feasting and brings many wonderful bloggers together and shares their favorite Ramadan dishes on her blog. It’s been always a pleasure taking part in this event and this time I shared my favorite Ramadan snack Unnakaya. In a saucepan, combine chicken with paprika, ground cumin, ground black pepper and salt, combine well and cook covered till the chicken has cooked. After the chicken has cooked, add canned red kidney beans (drain the liquid in the can) or you can add refried beans to the cooked chicken. Cook for a few minutes and mash the beans and chicken slightly with wooden spoon. Add chopped jalapeños, combine well and cook for a couple more minutes. The chicken and bean mixture should be dry. Place a tortilla on a cutting board. I used medium sized tortillas. 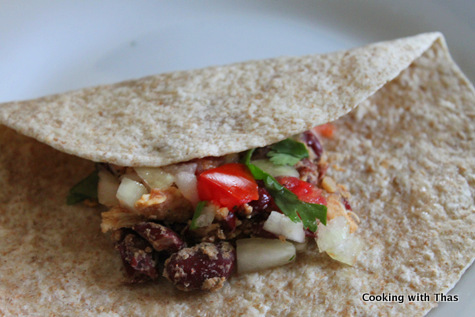 Place 2 tbsp of chicken-bean filling on the center of the tortilla. Top with ½ tbsp chopped tomatoes and onion. Top with one handful of cheese and a pinch of cilantro. 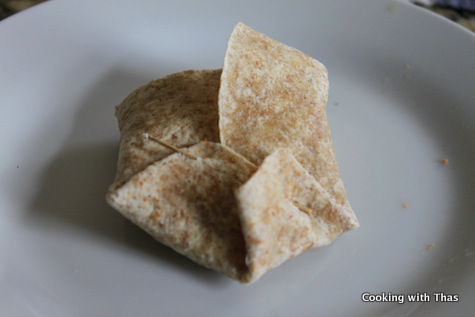 Gently, fold the tortilla into a rectangular shape, tucking in sides so that the filling is in place. I inserted a tooth pick on the opening side so that the filling won't come out while frying. 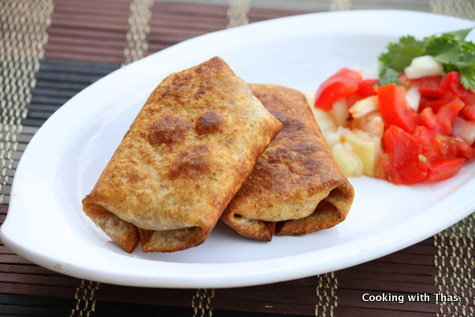 Heat a non-stick frying pan, add oil and place the prepared tortilla rolls. Shallow fry it and flip it over till both the sides have turned golden in color. If you prefer you could deep fry it. Remove the chimichanga using a slotted spoon and transfer to a paper towel. Don't forget to discard the toothpick before serving. Serve warm along with salsa, guacamole, sour cream etc. If you want you could add white rice to the chicken and bean filling. 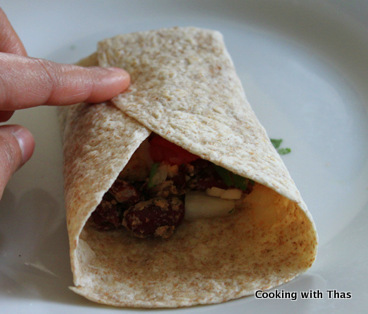 Use chapati instead of tortilla.